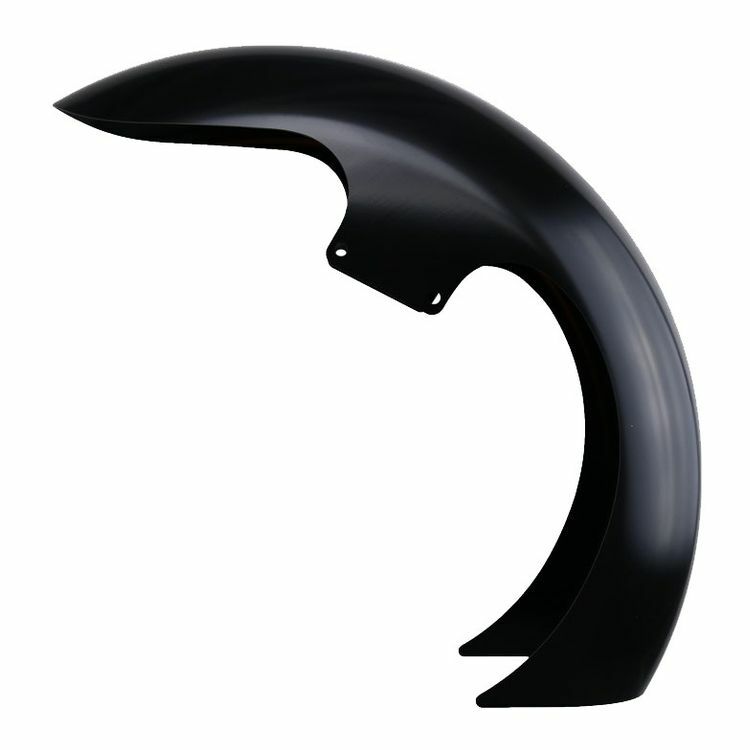 The OEM version has been created in a shape that fits like a glove on your stock front wheel and tire! Paul Yaffe created all new tooling for the OEM steel front fenders that allows them to be "deepdrawn" from one indestructible piece of 14-gauge steel. This means there is no spinning, no welding, no seams or grooves that need to be body worked. Each fender is then e-coated to guarantee a corrosion free finish. They come ready to paint and install.